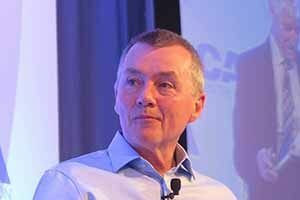 Willie Walsh’s IAG has admitted defeat in its efforts to buy out low-cost transatlantic rival Norwegian Air Shuttle. IAG, the parent company of Aer Lingus, Iberia and British Airways, said in a statement that it “confirms that it does not intend to make an offer for Norwegian Air Shuttle ASA (Norwegian) and that, in due course, it will be selling its 3.93pc shareholding in Norwegian”. IAG revealed last April that it had bought the 4.61pc stake in Norwegian and was interested in acquiring the entire airline. Later, Norwegian said it had received two proposals for a full takeover from IAG, but had rejected them because they undervalued the company. IAG CEO Willie Walsh consistently ruled out launching a hostile takeover approach for Norwegian, and said he would not get drawn into a bidding war after Norwegian CEO Bjorn Kjos said other parties were interested in acquiring his airline.